Home » Television News » BARC TRP Report Week 33, 2018: Naagin 3 tops the list while shows on other positions are a surprise! BARC TRP Report Week 33, 2018: Naagin 3 tops the list while shows on other positions are a surprise! 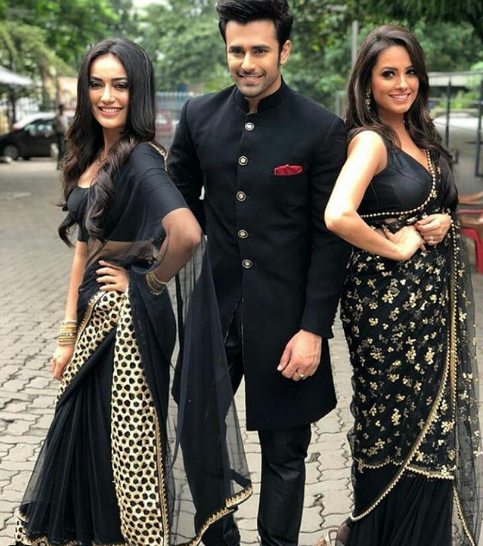 Yet again, the BARC TRP report for week 33, 2018 is out and it isn't a surprise to find Ekta Kapoor's supernatural show, Naagin 3 ranked on the top of the list. It has become a common scene of the show hanging on the top of the list just like its previous seasons Naagin and Naagin 2. The show starrs Anita Hassanandani, Surbhi Jyoti and Karishma Tanna in the leading roles of Ichhadhari naagins. Talking about the other positions on the list, they are grabbed by Zee TV's KumKum Bhagya, Colors Dance Deewane, Star Plus's Yeh Rishta Kya Kehlata Hai and Zee Anmol's KumKum Bhagya respectively. ALSO READ: Jennifer Winget dating Harshad Chopra: Bipasha Basu did something shocking with Karan Singh Grover after he called Bepannah actress beautiful!